Some of the coastal parts of Kerala are well reported high background radiation areas (HBRA). Hence, the radiological protection of the population in this region is of great concern. In view of this, study has been undertaken to understand the distribution and enrichment of radionuclides concentration in sand samples from Varkala region, a known HBRA. The NaI(Tl) detector was used for the measurement of radionuclides concentration in sand samples. The values obtained from the present study indicate that, the activities in sand samples were high compared with the world average values. The radiological parameters viz. absorbed dose, annual effective dose and annual gonadal dose equivalent were also calculated. 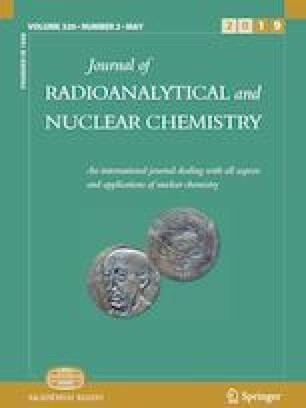 Further, the excess lifetime cancer risk (ELCR) due to the exposure of radiation prevailing in the region was estimated from the activities of radionuclides. The ELCR value obtained from the present study was much higher than the world average value for all the samples. The results from the present investigation clearly indicate that, the radioactivity prevailing in the region is adversely affecting the inhabitants of the region. The results of these systematic investigations are presented and discussed in the manuscript. The first author wishes to acknowledge Mr. Shyju K., Department of Geography, Payyanur Campus, Kannur University for the assistance.